We are glad to share the news that 123rd Canton Fair will be held in Guangzhou city, Guangdong, China. 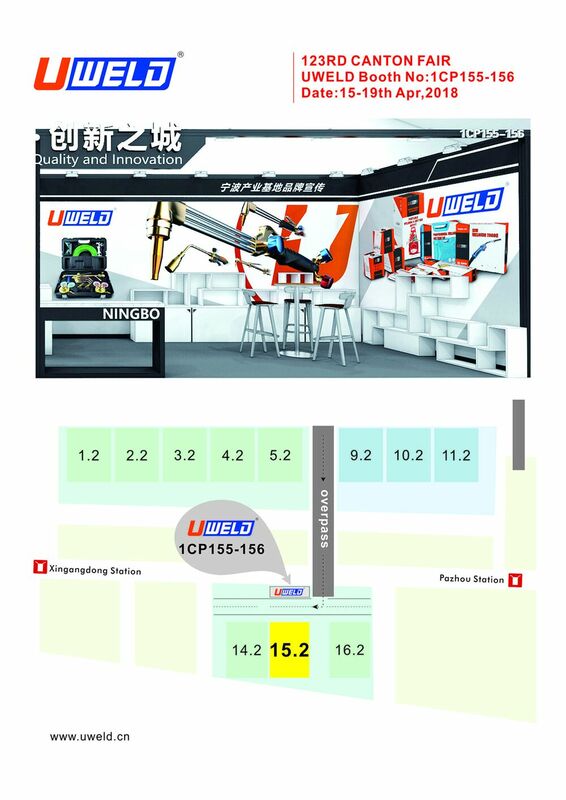 UWELD will attend this fair and our booth information you can find in below picture. It is our pleasure to invite you to come, visit our products and have a pleasant chat. More information, please contact Mr. Graham for details.